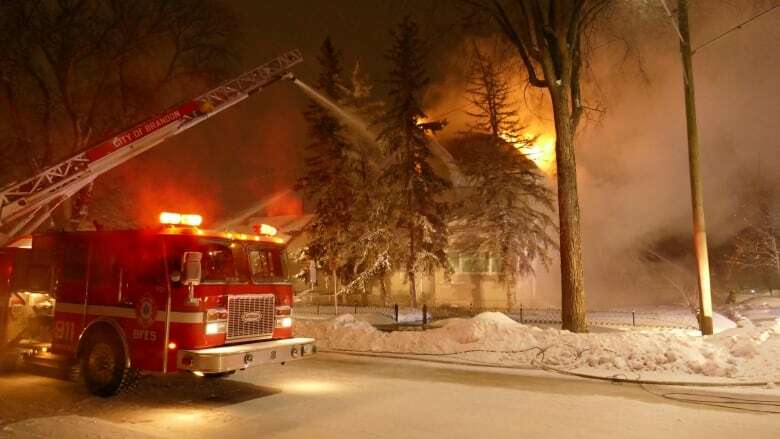 Firefighters are battling a house fire in Brandon, Man., on Tuesday that sent thick smoke over parts of the city. 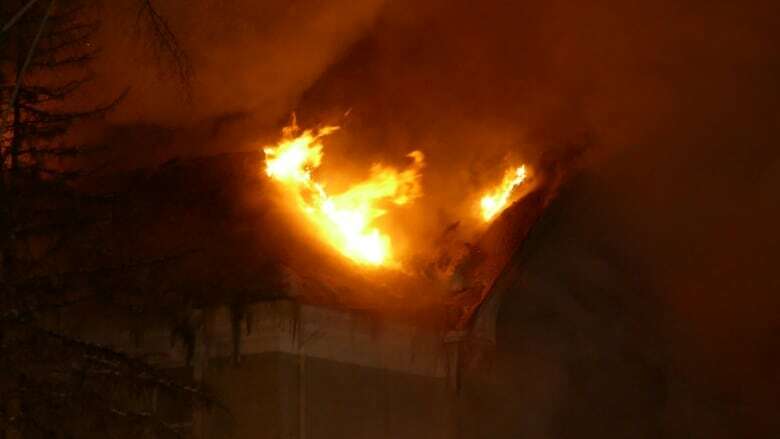 Firefighters battled a house fire in Brandon, Man., on Tuesday that sent thick smoke over parts of the city. 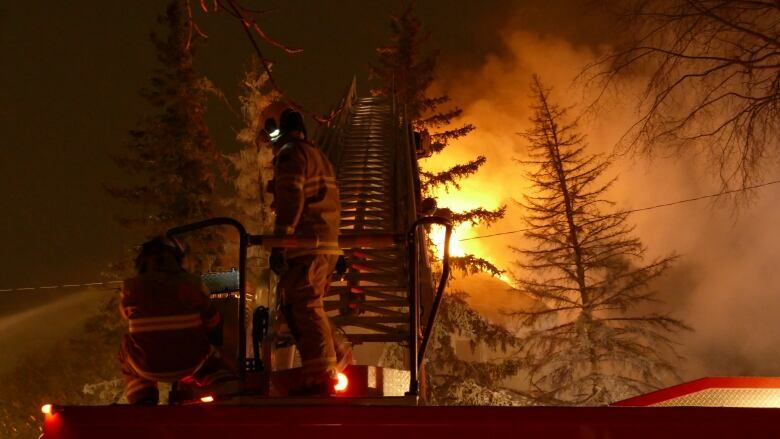 The fire broke out in a three-storey home at the corner of 4th Street and Louise Avenue at about 2:30 p.m. CT. It was fully engulfed when emergency crews arrived at the scene. Smoke could be seen from blocks away. Firefighters were still dousing the building with water more than five hours after it started. The home had been converted into a number of apartment units. There is no word if anyone was injured or what sparked the fire.